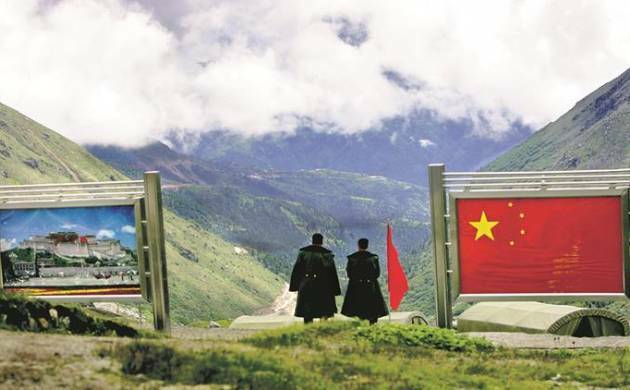 China on Wednesday claimed that the Sikkim standoff is “different” from the previous border frictions along the Line of Actual Control as it has taken place at a “defined section” of the boundary. Chinese Foreign Ministry spokesman Geng Shuang, while reacting to Foreign Secretary S Jaishankar’s remarks that the two countries will be able to handle the Sikkim standoff as they have dealt with such border differences in the past, said China has pointed out many times that the Indian border troops “illegally trespassed” a mutually recognised border line. “This is different from the frictions that happened in the undefined sections of the border region,” Geng told reporters here. Reacting to Geng’s remarks, official sources in New Delhi said the principles on which the differences between the two countries on the border issues and tri-junctions are addressed are mutually agreed upon and well established. Geng’s remarks come amid a standoff between the militaries of India and China in the Doklam area in the Sikkim sector, where Indian troops stopped road construction by Chinese soldiers. “This is totally different from the undefined boundary in the east, the middle and the western part. According to the 1890 convention, the Sikkim section has been defined and both China and India have recognised this,” he said, reiterating Beijing’s stand. “This convention is effective for both the countries. And we once again require India to withdraw the border troops to the Indian side of the boundary and properly settle this dispute at an early date,” Geng said. “It is a long border, as you know no part of the border has been agreed upon on the ground. It is likely that from time to time there are differences,” Jaishankar said while responding to questions on the Sikkim standoff. India had earlier asserted that it is “deeply concerned” at the recent Chinese actions and has conveyed to the Chinese government that the road construction would represent a significant change of status quo with serious security implications for it.